Go-karting is a dynamic experience and a fun opportunity to race with friends. You can choose from one of two tracks. The one mentioned here is located in Kraków. It is wide therefore suitable for larger groups. While racing, there is plenty of space for overtaking. The dedicated racing style is comparable to the rallycross or the WTCC series. The track forgives a lot of mistakes and allows for bold manoeuvres. 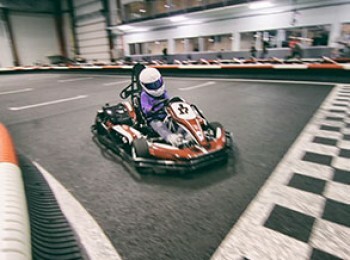 It is a fitting choice for those who are just starting their go-karting adventure. The other racing track is outside of Kraków. For more details, please refer to the GOKARTY SULECHÓW tour tab. 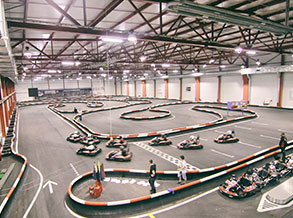 We offer Go-Karting in Krakow under the PRIVATE TOUR option. We created this option to satisfy the most demanding of tourists. In addition to choosing the start and end times of the trip, a private comfort-class car with a professional driver, the undoubted advantage of this version is the opportunity to purchase additional laps on site if the track is available. In the case of this trip, please make a reservation at least one day in advance. Only then we can guarantee full flexibility due to the high interest in go-karting. For trips booked for the same day, we will assign possible times that remain between the previously made reservations.